ProLink Volleyball is one of the top Junior Olympic clubs in the Southeast. Using Gold Medal Squared techniques, we have created an environment where athletes have fun playing the game they love while receiving the instruction they need to be successful. With the most highly trained coaches in Georgia, we have won 3 AAU National Championship Titles in 5 years, 9 National Bids, 75+ collegiate scholarships and well over a hundred tournament wins! All our coaches go through mandatory training at least once a year to ensure they are at the top of their game and know how to coach the players. We train with the best coaches in the world and our coaches understand volleyball better than anyone else: Guaranteed! We believe we must train the coach before we can train the players. 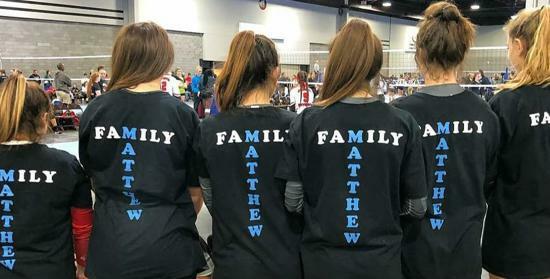 We have trained over 1,500 players in 11 years and all of them could tell you this club is more than just volleyball: It’s Family! Our players have won 3 AAU national championships in 5 years, 8 National bids, 75 collegiate scholarships, 100+ tournament wins, and so much more. We coach the most elite system developed by the pros, proven statistically to be the best volleyball system in the world! The system is used by teams like Team USA, UGA, Penn State, and much more top-level teams! We know we can make your child the best player than can be: let us prove it! ©2019 ProLink Volleyball Club / SportsEngine. All Rights Reserved.